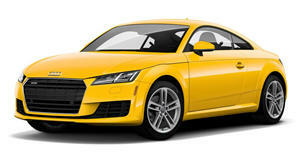 Audi recently celebrated the twentieth anniversary of the TT with the launch of the limited-edition TT 20 Years. Unfortunately, the future fate of Audi’s iconic sports car is looking uncertain. While the TT recently received a mid-cycle facelift for the 2019 model year, recent comments made by Audi CEO Bram Schot suggest it won’t be renewed after the current generation. Previous reports have suggested the TT will relaunch as a four-door coupe, but these plans are being re-evaluated due to Audi’s ongoing investment in electrification, mobility, and technology. To cut costs, Schot has already reduced the complexity of Audi’s lineup by 27 percent by discontinuing some of the engine and variant combinations. "Audi has to be really prominent in future, but electrification has to be financed. I cannot afford to be in every country, in every segment,” Schot said. Given the falling demand for sports cars and the increasing popularity of SUVs and crossovers, the Audi TT’s potential demise doesn’t come as a huge surprise. As much as enthusiasts love it, it simply isn’t a strong seller, which makes it difficult for Audi to justify keeping it on life support. For now, though, the current TT is safe since the mid-cycle facelift is expected to be on sale until 2022, but don’t get your hopes up for a third-generation model. In contrast, Audi’s SUV family will continue to expand, with a Q4 on the horizon and rumors of a new flagship Q9 joining the lineup.